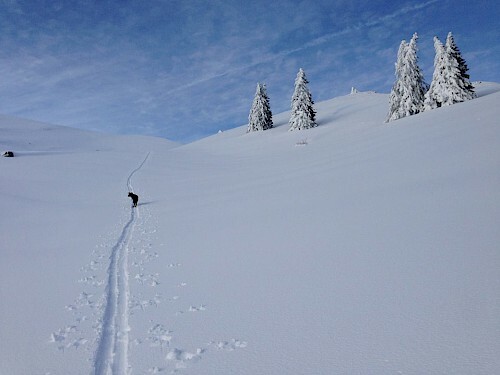 Most people come to Morzine through January/February for the quest of fresh lines and powder runs. 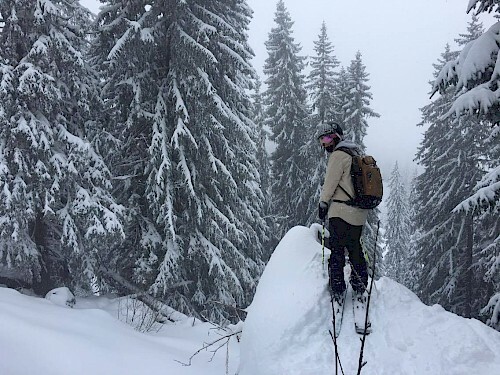 What they don’t know, is that March often has epic conditions too with some big late season snowstorms rolling through the Portes du Soleil, bringing large snowfalls and those pretty white trees that Morzine is renowned for along with it! 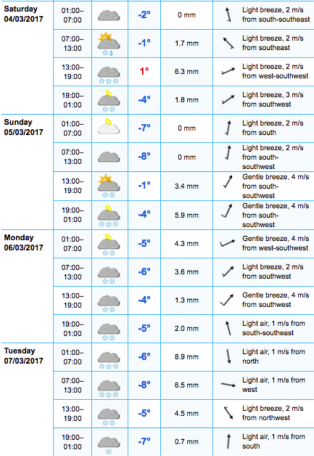 The last 3 days have seen some significant snowfall up in Avoriaz, and the forecast doesn’t show any signs of slowing down just yet! The best thing about March snowfalls are the amazing blue bird days that will inevitably follow, once Spring really kicks in and the sun is higher in the sky. There’s nothing quite like those unreal bluebird powder days, taking first tracks down some gnarly off-piste or bombing about resort with some friends! The futures snowy! Source yr.no. Check out what our staff have been getting up to out in the amazing mountains we call home, and get inspired for your next trip away. 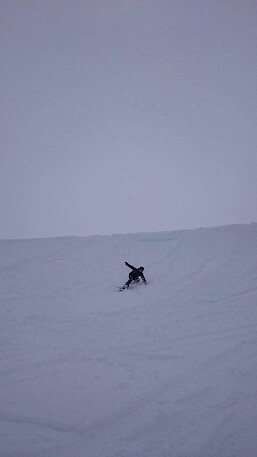 Handy man Kenzie has been out enjoying the powder with Bob the dog!! 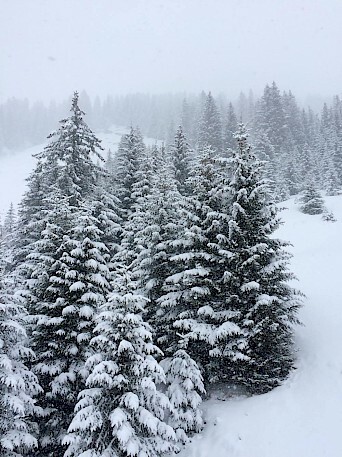 Snowy trees in Avoriaz, one of our favourite places to find off-piste powder runs! We’ve got some great last minute deals to be had, so get in touch on thechalet@mountainmavericks.com and find out about accommodation in either our hotels – L’Aubergade and Le Cottage – or our beautiful chalets. With awesome locations, easy access to the slopes and high-quality service and food, Mountain Mavericks offer some of the most attractive holiday packages around! Previous: Win a FREE holiday with Mountain Mavericks! Next: Are You A Last Minute Maverick?